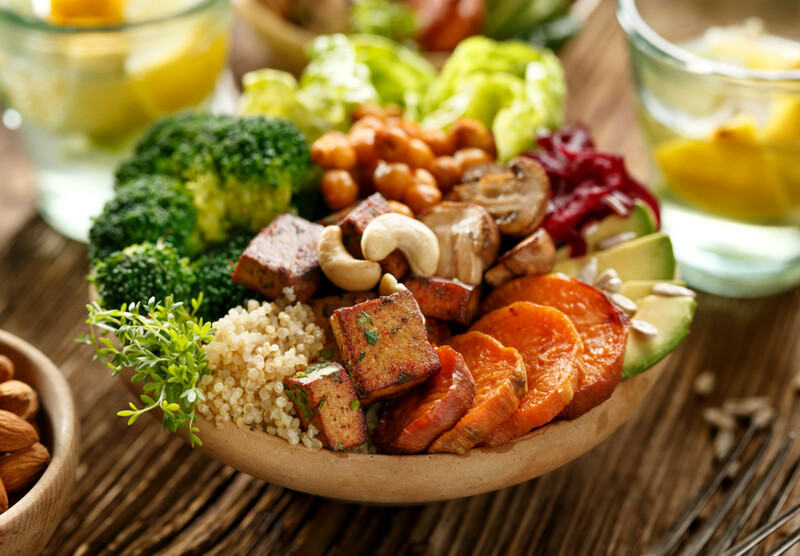 Whether you’re a vegetarian or simply enjoy sampling fresh and healthy vegetarian dishes from time to time, it’s definitely worth continuing reading to discover a list full of fun and flavorful vegetarian dishes and snacks to try out. If you’re looking for the perfect dip to dunk your pita strips into or your tortilla chips, you may want to try dipping your choice of snack into a tasty roasted vegetable dip. That you’ll also be able to use to accompany vegetable sticks such as celery sticks and carrot sticks. If you’re keen to try out a New Orleans inspired dish, it’s well worth having a go at creating vegetarian muffuletta. Which was made famous by Italian immigrants who settled in New Orleans and is a sandwich which traditionally features cured meats such as ham or salami and artisan cheese as well as smoked vegetables such as peppers and olives. If you’re looking for a healthy snack to incorporate into your everyday life, it’s well worth roasting a tray full of sunflower seeds. Which make a great alternative to unhealthy snacks such as potato chips and which can be eaten by individuals who suffer from serious nut allergies. Falafel is a popular, vegetarian Turkish kebab which features deep-fried chickpea patties as well as lettuce, hummus and assorted vegetables such as carrots and onions. If you enjoy vegetarian wraps you’ll enjoy eating your very first falafel. If you want to add a bit of extra flavor to your falafel, make sure to add tabbouleh and garlic yogurt to your falafel kebab. Alternatively, you can also place falafel patties on vegetarian pizzas or in a gourmet vegetarian burger. As falafels are a versatile food, that you can use to create a wide array of fresh new vegetarian dishes. What is a pierogi? Pierogi are traditional Polish dumplings, which are filled with a wide variety of fillings. If you’re interested in sampling vegetarian pierogi, it’s well worth looking for a recipe which will teach you how to prepare beetroot, mustard seed, and cheese pierogis. Which meat eaters are sure to love just as much as vegetarians. If you’re interested in testing out a variation on your classic corn fritter recipe, it’s well worth adding spinach and halloumi cheese to your favorite corn fritters. Just be warned, if you fry your own spinach, corn, and halloumi fritters, you’ll never want to go back to eating plain corn fritters again. As spinach and halloumi will give your corn fritters a ton of extra flavor. If you love hot noodles, it’s well worth learning how to make vegetarian Mee Goreng, which is a South East Asian noodle dish which contains plenty of spices as well as tofu and egg. Hopefully, your mouth is salivating after discovering all six of the delicious vegetarian dishes and snacks listed above. 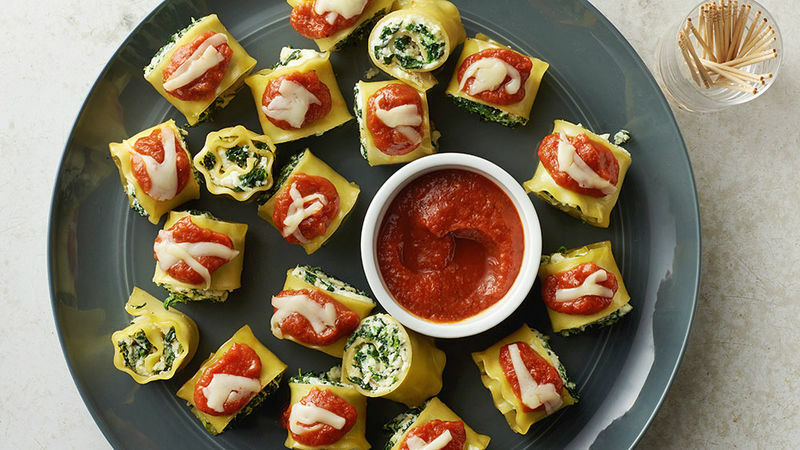 If you’re sick of serving your friends traditional snacks such as chicken wings, pretzels, hot dogs and potato chips, simply continue reading to discover a few new snacks to serve at your upcoming parties. If you’re sick of serving guacamole and salsa, when you invite friends over, surprise your guests with a fun and fresh baked taco dip with cream cheese. 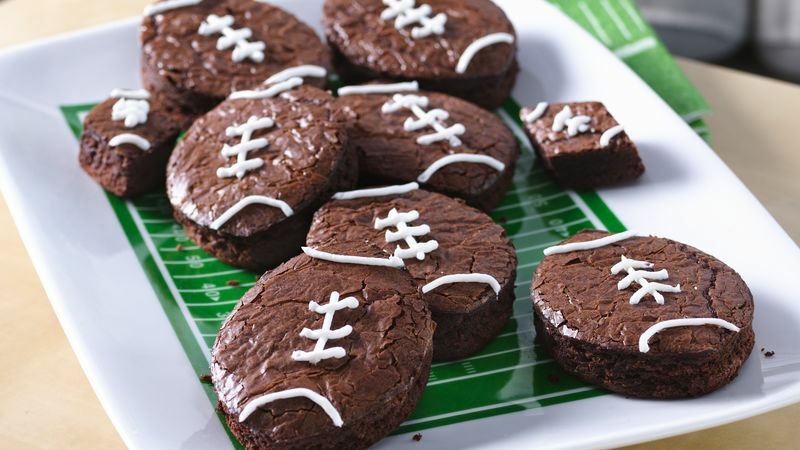 Which is guaranteed to cause your friends’ mouths to drool. If your friends are burger lovers, why not serve mini burgers which are known as sliders at your next event. Instead of opting to place a regular meat patty in your sliders, opt to place pulled pork in your sliders, in order to impress your friends who are foodies. Just be sure to use the perfect barbecue sauce to give your pulled pork sliders a bit of a kick. Once you’ve purchased your mini taco shells, fill each taco with mince, chicken or beans before topping off each taco with spices such as chili and a sprinkle of grated cheese. Before baking your mini tacos in your oven. If you’re ever running short on prep time, simply slice up a baguette of bread and spread cream cheese on to each slice of bread. Next top each slice of bread with fresh salmon to create a snack that your friends and family members are sure to rave about. While you probably have served pretzels to your house guests on numerous occasions, you probably haven’t experimented with baking pretzel house rolls. Which are perfectly paired with a strong Dijonnaise mustard. If some of your friends prefer eating health-conscious snacks, simply glaze a few carrots with a simple honey-based glaze. If you’re wondering what type of dip to serve with your carrots, simply serve Greek yogurt with your carrots. Which also happens to be one of the healthiest dips which you can get your hands on. If cheese is one of your all-time favorite foods and you’re not afraid of a bit of spice, you may want to experiment with trying to create a delicious chili cheese dip. If you’re not afraid to test your comfort zone when it comes to preparing and serving new foods, try wrapping high-quality bacon around individual figs. Just make sure to wrap at least two dozen bacon wrapped figs as your friends are sure to go crazy for your new creation. Another fancy snack which is sure to go down a treat are baked clams which you can garnish with breadcrumbs and garlic. If your friends are seafood lovers, they’ll be sure to ask you for seconds. To create the tastiest green beans of your life, simply fry green beans in a buttermilk batter. So if you’re planning your next party or are asked to take a plate to an upcoming event, it’s well worth testing out a few of the finger foods listed above. 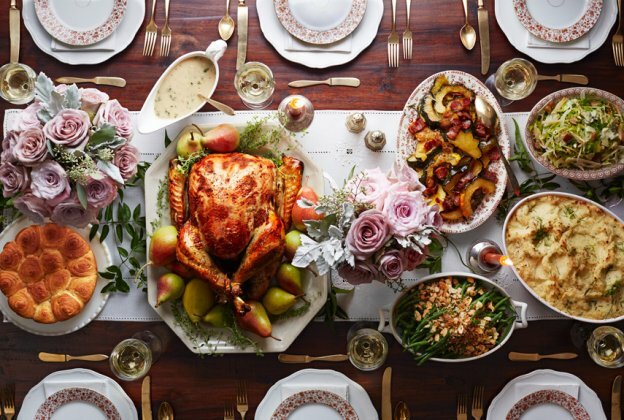 If you’ve just sent out the invites for an upcoming house party or dinner party, continue reading to discover how to put together a delicious feast. That your friends and family members will rave about. Instead of serving traditional coleslaw or a traditional salad, it’s a great idea to serve red cabbage slaw, which is a perfect side for a wide variety of main courses. As an example, you can serve a refreshing, crunchy red cabbage slaw with roast chicken and roast vegetables or at a barbecue. As a bonus, not only does red cabbage slaw taste delicious but it also looks far more appetizing that a traditional salad or coleslaw. If you’re thinking of hosting a dinner party, it’s a great idea to offer a hearty soup as an entree. Examples of soup flavors that you may be interested in serving up include a homemade chicken noodle soup, a butternut soup, a minestrone soup or a mint pea soup. If some of your guests are vegetarian, it’s well worth opting for a meat-free option, so that all of your guests will be able to enjoy the delicious soup which you prepare for everyone. Every dinner party should offer bread as an entree, which will also perfectly accompany your homemade soup! As an example, you may want to opt for a sundried tomato based hummus or for a blue cheese spread. That your friends and family members are certain to finish. When it comes to choosing bread for your dinner party, try to opt for at least two different types of bread. As an example, you may want to purchase a sourdough loaf and a traditional French baguette. If possible, try to purchase your bread from a bakery, instead of from your local grocery store. As nothing beats freshly baked artisan bread. If you want to wow your guests with your culinary skills, it’s a great idea to experiment with adding different spices to each of your courses. As an example, you may want to garnish basil on a tomato and capsicum soup and to use chili flakes to add a kick to your steak. Make sure to avoid placing nuts into your dishes as a large percentage of the population suffers from severe nut allergies and you don’t want to accidentally cause one of your good friends to have an episode caused by an avoidable nut allergy. As different individuals have preferences for different meat, it’s a great idea to serve a red meat option and a white meat option. As an example, you may want to offer salmon as well as venison. Just be sure to have at least one vegetarian option available such as stir fry tofu. Or a meat-free mushroom fettucini. If you use the above tips to put together a mouth-watering delicious feast, your friends and family members will beg you to host another dinner party. If you’d love to increase your energy levels, simply continue reading to discover a wide variety of easy lifestyle tips. If you find it a little challenging to consume a healthy, nutritionally balanced diet, it’s well worth placing your focus on consuming healthy foods, than on banning unhealthy foods from your diet. As if you start to consume healthy foods such as fresh fruits and vegetables on a regular basis, in time you’ll actually start to crave healthy foods, instead of unhealthy foods. As an example, instead of craving cakes and ice cream, you may start craving blueberries and bananas and instead of craving potato chips, you may start to crave roast pumpkin. Instead of using salt in your meals, simply add herbs or spices such as peppercorn, lemongrass or chili to your meals. While if you crave sugar, you may want to consume foods which contain natural sugar such as oranges and berries. In order to increase the steps which you take on a daily basis, it’s a great idea to opt to talk to your colleagues in person, instead of writing emails to your colleagues. If you make an effort to clock up more steps per day you should find that your body will start to feel less tired and stressed, than if you were to sit at your desks for several hours in a row. Remember that your body wasn’t designed to sit in an uncomfortable work desk for 9 hours a day and was designed to keep moving. While many individuals dish out their meals at their dining table, it’s a much healthier move to get into the habit of dishing out your meals in your kitchen. As you’ll be far less likely to overeat and to consume unnecessary calories. As it’s far too convenient to help yourself to seconds or thirds if you have several bowls of delicious food set out in front of you! If you’d love to lead a healthy lifestyle, do yourself a huge favor and opt to spend time with individuals who already lead, active and fun lifestyles. After all, if you spend time with friends who have unhealthy habits such as overeating or smoking, you’ll be far more likely to pick up such habits yourself. Whereas if you constantly spend time with healthy individuals, you’ll be more likely to pick up healthy habits such as going for daily runs or carrying around a bottle filled with ice water! Many individuals mistakenly eat a food item, thinking that it serves one when really it contains four servings. If you follow the 6 lifestyle tips listed above, you’ll be sure to notice a spike in your energy after a couple of weeks! If you’ve grown tired of your home’s current decor, simply continue reading to discover a few home decor tips that you may not have come across and which may inspire your home’s future decor. Not only are mirrors decorative and stylish but adding a mirror to each room, will make each room in your home seem a little more spacious than it actually is. So if you live in a small home or an apartment, it’s well worth purchasing a few mirrors for your home today. Also keep in mind that the larger the mirrors that you choose, the larger your rooms will appear and that you can’t go wrong opting for large, frameless mirrors. That will create the illusion that your room continues on and is larger than it looks. A simple way to give your home an updated contemporary look and feel is to remove your home’s outdated light fixtures in favor of modern, stainless steel light fixtures. Which will instantly transform the look of each room in your home. As an added bonus, you should find that even top of the line light fixtures are affordably priced and won’t make a dent in your bank balance. Another way to ensure that your home looks modern and up to date is to replace your kitchen’s blinds. Throw cushions are amazing as they can instantly make your bedroom and lounge look like the bedrooms and lounges which you’d find it a magazine. As an example, you can layer a few throw cushions on the bed in your guest bedroom, in order to wow your friends and family members. As an added idea, you may want to consider purchasing extra cushion covers for your home, which you’ll be able to swap out throughout the year. As an example, in winter you may want to use faux fur and suede cushion covers while in spring you may want to opt for linen cushion covers or floral patterned cushion covers. If you enjoy DIY projects, you may even be interested in sewing your own, one of a kind cushion covers. One cheap way to decorate your home is to use decorative, fragranced candles and vases filled with beautiful fresh flowers to decorate your home on a budget. You can also opt to choose seasonal candles and flowers which you’ll be able to swap out on a regular basis. Instead of using a magnet to display your children’s artwork on your fridge, it’s a much more creative idea to frame your children’s best pieces in order to hang them up on your wall. As an example, you may want to consider turning your hallway into a makeshift art gallery. 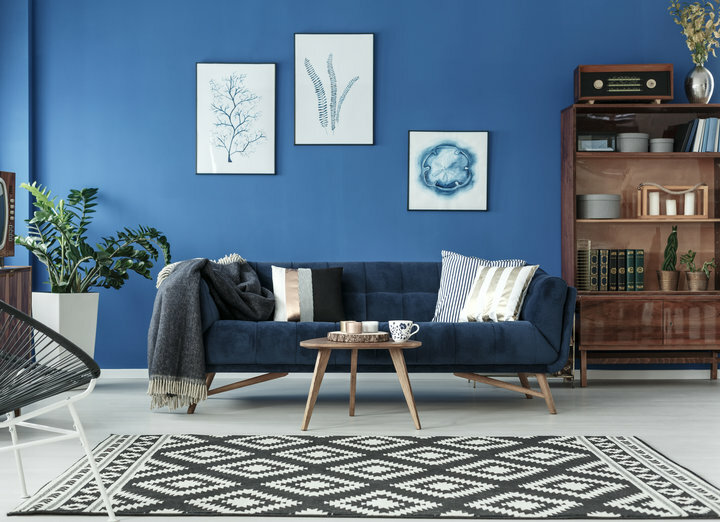 So if you’re looking to give your home’s interior decor a much-awaited update, it’s well worth taking some inspiration from the 6 creative home decor ideas listed above. 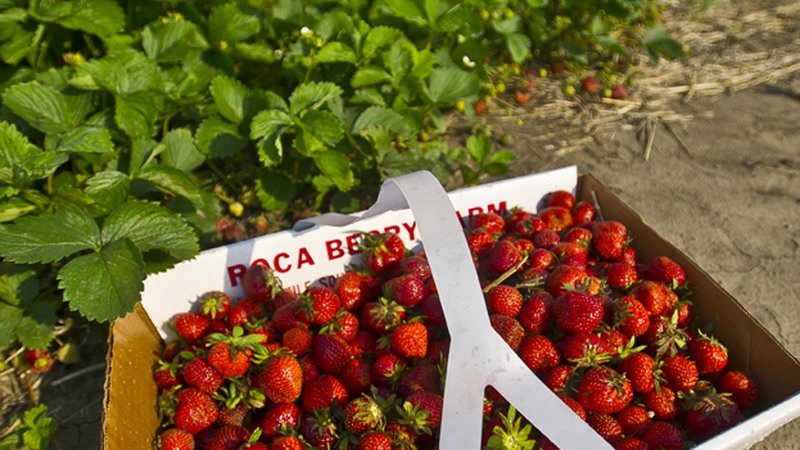 If strawberries are one of your favorite fruits, continue reading to discover a few creative ways to use your Roca Berry Farm brought strawberries. As an example, if your go-to cake is chocolate cake, it’s well worth covering your next chocolate cake with chocolate icing and arranging strawberries around the perimeter of the top of your chocolate cake. As not only will your cake look like a fancy store brought chocolate cake but the strawberries which you’ve used to decorate your chocolate cake will also add a sweet, tartness to your chocolate cake. Which will balance out the chocolate in your cake. If you love consuming healthy, nutritionally balanced juices and smoothies, it’s well worth using Roca Berry Farm’s delicious, mouth-watering strawberries as the base of your juices and smoothies. As an example, you may want to blend strawberry juice with oranges and lemon juice in order to create a thirst quenching, homemade juice. Or to use strawberries with Greek yogurt, oranges, and bananas in order to create a thick homemade smoothie. That your whole family is sure to love. If you like the idea of creating your own homemade smoothies you may even want to add kale or spinach to your strawberry smoothies. In order to provide your body with added nutrients and vitamins. If your household loves ice cream it’s well worth topping off your favorite brand of vanilla ice cream with freshly whipped cream and strawberries. For a classic ice cream sundae, that your family won’t be able to get enough of. After all, what could beat freshly whipped cream and fresh sweet strawberries? If you have a sweet tooth and love using sweet fruit-based preserves on your toast, in the mornings, it’s well worth experimenting with creating your own homemade strawberry preserves. If you purchase extra strawberries, you may even want to consider creating extra jars of strawberry preserves, to gift to your neighbors, family members, and friends! As most individuals love thoughtful, homemade gifts. What is strawberry shortcake? Strawberry shortcake is a shortcake recipe which features several layers of shortcake which is split up with layers of freshly cut strawberries and layers of freshly whipped cream. If you’re looking for the perfect light and fluffy yet satisfying dessert to serve guests at a dinner party, it’s well worth attempting to make strawberry shortcake for the first time. If you’ve never tried a strawberry pie or strawberry tart, you don’t know what you’re missing. Simply use strawberries instead of apples, when it comes to following your favorite apple pie recipe. As you’ll be sure to be delighted by the result. So if you’re a huge fan of strawberries and are looking for new ways to use your Roca Berry Farm strawberries, it’s well worth testing out a few of the ideas listed right above. If you’re on the hunt for useful home budget tips, continue reading to discover a wide variety of handy home budget tips! While the vast majority of adults, don’t compile their monthly budgets in front of their children. Doing so is actually a wonderful idea as you’ll raise children which know the value of a dollar. Better yet, if you create your monthly budget with your children, they’ll become aware that you may not be able to purchase them every toy which they have their sights set on and will be more likely to want to use their own pocket money to save for expensive toys and big-ticket items such as bicycles. It’s also well worth budgeting with your partner so that you’re both on the same page and can work together as a team, in order to keep to your budget and to reach your long term savings goals. 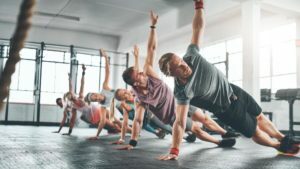 If you’re currently spending hundreds of dollars per month on expensive subscriptions such as gym memberships, golf memberships, and cable subscriptions, it may be a wise idea to consider canceling a few of your subscriptions. Especially if you don’t use them on a regular basis. Instead only continue to pay subscriptions which add a lot of value to your life. As an example, if you pay for a monthly gym membership but visit your local gym 5-6 days a week, it may be well worth continuing to budget to pay for your gym membership. Whereas if you only make it down to your local gym once a week, there’s no point continuing to pay for your gym membership. If you have a tight budget one month, it may be worth trying to look for creative ways to bring in a little extra cash. As an example, if you’re struggling to pay your bills, you may want to hold a yard sale in order to receive money for your unwanted items, which you never use anymore. Or as another idea, you may want to use some of your skills in order to make extra money. As an example, you may want to teach local individuals how to play an instrument such as the violin or to tutor local children in subjects which you’re an expert in. Alternatively, if you’re a bit of a handyman or handywoman, you may want to offer to build your neighbors a fence or to help them with any DIY projects which they may be keen to complete. As no two months are exactly alike, it’s a great idea to adjust your monthly budget each month. As an example, if you’re saving for a vacation, you may want to save extra money for your trip, in the months leading up to your adventure! If you put all 4 budgeting tips listed above into action, you’ll be far more likely to create a realistic monthly budget for your household.